This release is based on MySQL 8.0.12 and includes all the bug fixes in it. It is a Release Candidate quality release and it is not intended for production. If you want a high quality, Generally Available release, use the current Stable version (the most recent stable release at the time of writing in the 5.7 series is 5.7.23-23). Percona provides completely open-source and free software. As this is a release candidate, installation is performed by enabling the testing repository and installing the software via your package manager. For Debian based distributions see apt installation instructions, for RPM based distributions see yum installation instructions. 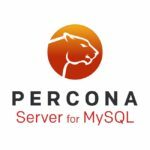 Note that in both cases after installing the current percona-release package, you’ll need to enable the testing repository in order to install Percona Server for MySQL 8.0.12-2rc1. For manual installations you can download from the testing repository directly through our website. #4434: TokuDB ROW_FORMAT clause has been removed, compression may be set by using the session variable tokudb_row_format instead. Several packaging changes to bring Percona packages more in line with upstream, including split repositories. As you’ll note from our instructions above we now ship a tool with our release packages to help manage this. #4937: rocksdb_update_cf_options was useless when specified in my.cnf or on command line. An alpha version of Percona Server 8.0 is now available in the Percona experimental software repositories. This is a 64-bit release only. Note that this release is not ready for use in any production environment. Note: The list of supported platforms may be different in the GA release. PS-4898: Crash during PAM authentication plugin installation. 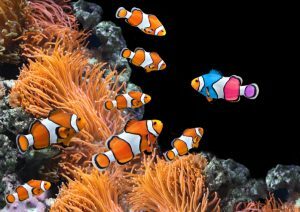 The post Replicating from MySQL 8.0 to MySQL 5.7 appeared first on Percona Database Performance Blog. I recently helped a customer figure out why a minor version MySQL upgrade was indicating that some tables needed to be rebuilt. The mysql_upgrade program should be run for every upgrade, no matter how big or small the version difference is, but when only the minor version changes, I would normally not expect it to require tables to be rebuilt. Turns out some of their tables were still marked with an older MySQL version, which could mean a few things… most likely that something went wrong with a previous upgrade, or that the tables were copied from a server with an older version. In cases like this, did you know there is a fast, safe and simple way to check the version associated with a table? You can do this by reading the FRM file, following the format specification found here. If you look at that page, you’ll see that the version is 4 bytes long and starts at offset 0x33. Since it is stored in little endian format, you can get the version just by reading the first two bytes. The first example corresponds to a table created on MySQL version 5.5.32, while the second one corresponds to 5.1.73. Does that mean the 51_test table was created on 5.1.73? Not necessarily, as MySQL will update the version on the FRM whenever the table is rebuilt or altered. The manual page says the details can change with the transition to the new text based format, but I was able to get the version using this command up to version MySQL 5.7.7. Hope you found that useful! The post How to obtain the MySQL version from an FRM file appeared first on MySQL Performance Blog.